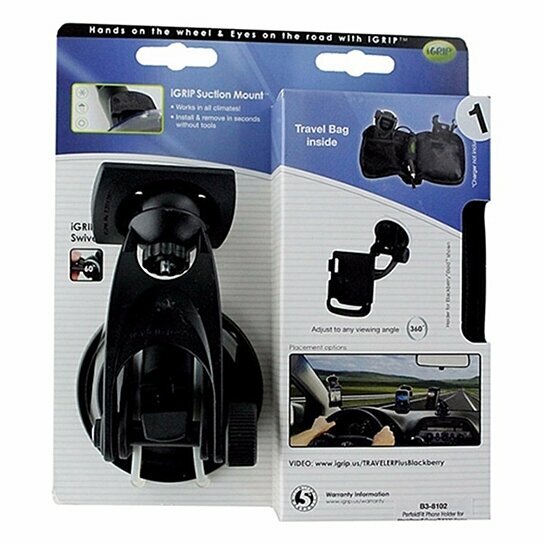 iGrip brand products, Smartphone Suction Mount for BlackBerry Curve 8300 Series. All Black finish. Includes travel bag, Mount, and Holder. 360 degree viewing angle. Works in all climates. Install and remove in seconds without tools. Work with all vehicles.